Home » Retirement Planning » How Do I Open An IRA? 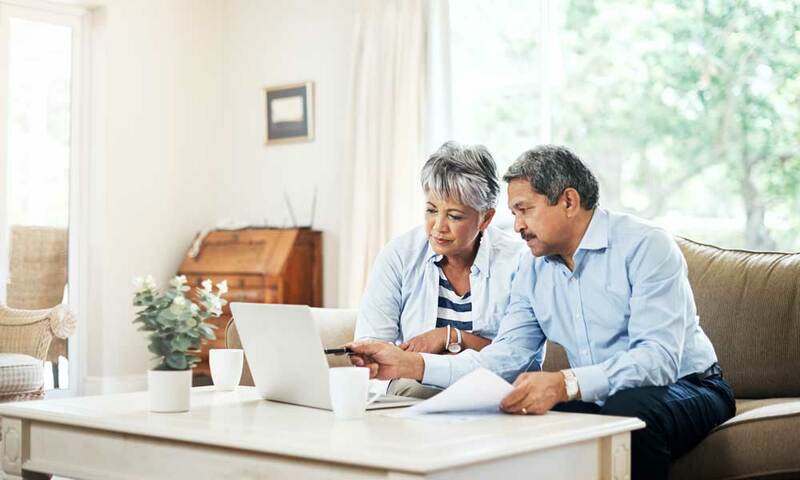 If you’re planning for your retirement, an Individual Retirement Account, better known as an IRA, is one of the best places to start. But unlike a 401(k) that you establish with the help of an employer, you have to set up an IRA on your own. Fortunately, almost anyone can do it, and it’s simple to get started. The first thing to do before you can open an IRA is to decide what type of IRA you want. In general, you’ll only have to choose between two: a traditional IRA and a Roth IRA. Both of these operate similarly as an investment but have different tax benefits. Traditional IRA: With the traditional IRA, savings and earnings are tax-deferred, meaning you’ll pay taxes on the money when you withdraw it. Ideally, this is when you retire, and income is lower. During the years you’re investing, you can deduct the contributions from your taxes. Roth IRA: In a Roth IRA, you’re investing post-tax money, so you don’t pay taxes when you cash that money out at retirement. But that also means you don’t get a tax deduction now for contributing to the account. In short, you’re paying taxes later with a traditional IRA and paying taxes now with a Roth IRA. So, which one is better? If you think you’re in a higher tax bracket now than you will be when you retire, choose a traditional IRA. But if you think you’ll be in a higher tax bracket when you retire, you’ll want a Roth. Once you’ve decided between a Roth or a traditional IRA, the next step is choosing a provider and opening your account. Vanguard and Fidelity are two of the most popular brokerages that service IRAs and are both known for their low-fee or even no-fee accounts. There are plenty of other options available, though, if you’re interested in doing more research on brokerages. Take some time to read through each company’s offerings, making sure to check out their fee structures. But also take into account things like any required minimum investment, although some might have none or a small $1,000 minimum; access to individual advice from a representative; and a varied selection of investment opportunities. When you’ve selected a provider, you’ll head to their website or give them a call and provide your basic personal information, including your Social Security number and driver’s license or other photo ID. Once that’s complete, you will need to fill out a 5305-R form for the IRS. If you’re ready to begin investing, you’ll need to give your bank information as well. You’ll also have to select beneficiaries for your IRA in the event of your death, and you’ll need their Social Security numbers. After you have your account open, it’s time to select investments. To choose your IRA investments, you’ll need to account for three things: your age, what other assets you have, and how much risk you’re willing to tolerate. Since choosing individual investments is a little too complicated for a lot of people, the most common method is to invest in a mutual fund (a professionally managed collection of investments) or target date fund (one that’s set to grow over a certain length of time). There are several different ways to put money in an IRA, but the most common by far is just a direct contribution by check or bank transfer from the account holder. You can also choose to roll over an employer-sponsored 401(k) or move an IRA from one company to another. Almost all IRAs allow account holders to automatically invest a recurring amount, a method that’s great for slowly growing a nest egg if you feel like you might not be disciplined to save on your own. Remember that IRA contributions are made with after-tax money, so there’s no benefit in waiting to make a deposit. Once you have an IRA opened, most financial experts recommend you just sit back and let it grow, only checking in once or twice a year to rebalance. If you have a target date fund, there’s usually no need to reinvest, but it’s good to just check in and make sure you’re on target. One of the best parts of investing in an IRA is that you’re not planning on needing the money for a long time. This makes it much easier to take a hands-off approach. Starting an IRA can seem intimidating, and many people don’t open one because they’re concerned that they will do something wrong that will complicate fund withdrawals. But it’s actually fairly simple to do. And thanks to mutual funds and target date funds, you can invest without having much financial knowledge. It’s possible to open an IRA with just a few minutes and a few hundred dollars. Like almost any planning for the future, the sooner you do it, the better off you’ll be. What is a 401(k) Retirement Plan? What Is A SEP IRA? What Is A Roth IRA? What Is An IRA?